Werewolves—savage and brutal. 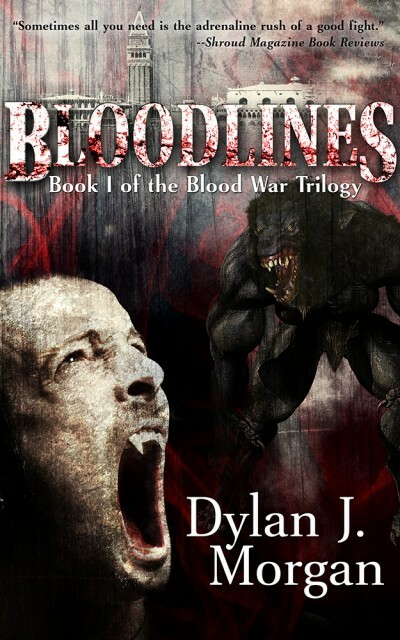 Vampires—ruthless and deadly. For almost six hundred years the immortal clans have been sworn blood enemies, locked in vicious battle within the darkness of the mortal world. But a new threat has arisen, one with the potential to eradicate both species from existence: hybrids, offspring of forbidden unions between werewolf and vampire. From violent beginnings in the fields of Romania, the conflict remains hidden by shadow in the ancient cities of London, Paris, and Rome. Hanging in the balance, the supernatural war is poised to explode as each species searches for a way to sever the bloodline of the other. In a world filled with honor and nobility, treachery and betrayal, six centuries of hatred and bloodlust has consumed all.